This article is brought to you by KazeTora. When someone talks about kamen rider, probably there’s only a few that pops up in your head for example, Kamen Rider Black and Black RX, Kamen Rider Kuuga, Kamen Rider Blade, etc. The reason is because there’re a lot of riders in the Kamen Rider series and non-Japan local tv probably only showed 3 or 4 of 'em. 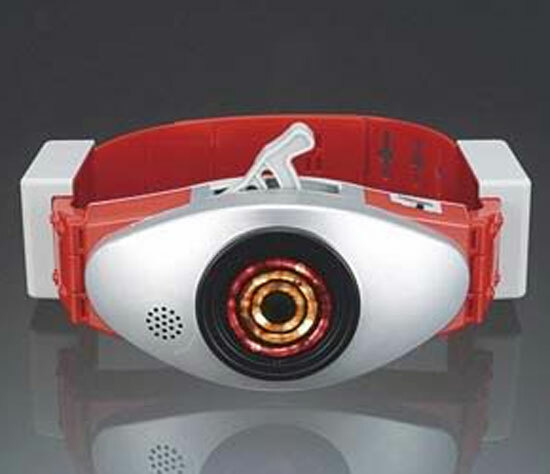 One thing about all the Kamen Rider is their source of power, even in Kamen Rider 555/Faiz, all of the guys have pointed out the belt as something which gives power and even in the Decade series, Kamen Rider Diend also hunts for the power belts (in his case, Emperor/Omega’s Belt). So, let’s talk about belts then… Since I figure that this have an opportunity to be a long discussion, let’s limit them, shall we? 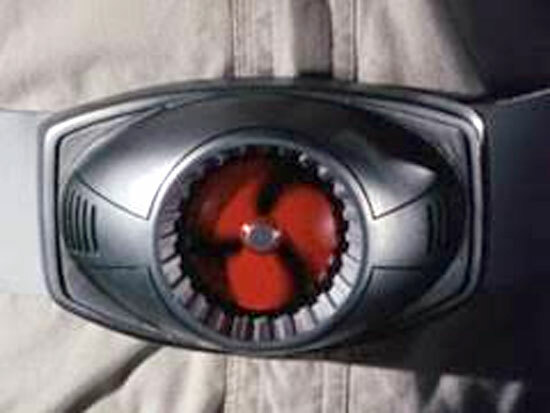 The first rider belt in the history of Kamen Rider is actually wind powered. Imagine that. So actually, the first rider is kinda environmentally friendly, huh? His belt is activated using a strong current of wind, and to achieve that he either has to henshin on top of his bike (speeding very fast) or falling off a cliff (also speeding very fast, naturally…). Yeah, being a rider is one serious job to handle. Now after Ichigo get a proper upgrade, he then finally able to henshin without having to fall from a dangerous height or riding bike. His belt kinda got inspired by Niigo’s belt on that one. Since the belt’s power coming from wind, they simply call it Typhoon Belt. Trivia: Kamen Rider Ichigo initially didn’t have any henshin pose and that makes Kamen Rider Niigo, the first rider to have a henshin pose. Confused? Drink some milk, and then get back here. 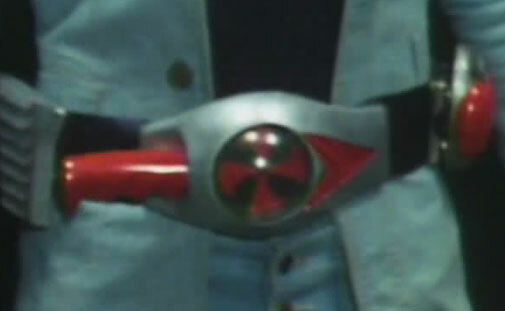 Not much to say here, since this belt is actually a second belt created by Shocker to fight on par with Ichigo. But those stupid scientists at Shocker HQ did a second mistake. They again forgot to alter the brain before altering the body. Or probably there was a requirement for the body to be altered before the brain? Anyway... this mistake ended up causing Niigo to convert himself to become Justice’s ally. The belt is exactly the same like Ichigo, only they now have a manual guide so Ichimonji Hayato now knows how to strike a good looking pose for henshin. Trivia: When Niigo was defeated by Dead… euh… something, he decided to strengthen his body and go to the Amazon Jungle to get himself bitten by various poisonous animal. I’d go to Shaolin Temple and learn some kung fu instead, but hey, every man is to himself, rite? Yep, the third rider now got a double dose of those windy thingy. So the belt is simply called Double Typhoon Belt. 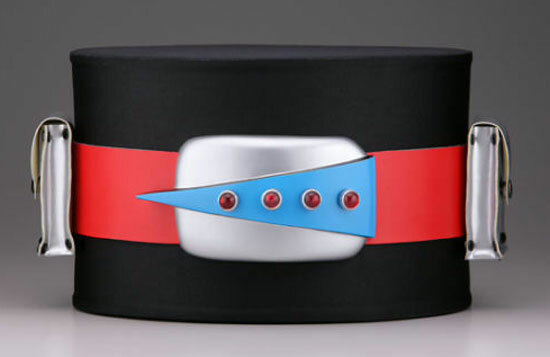 This is a very unique belt because it can absorb energy from the surrounding to be unleashed as a rider punch or rider kick causing a fatal damage. Or, if let’s say Shiro Kazami is surrounded left, right, and all around, he can actually unleashed Double Reverse Typhoon, and cause a more devastating damage to the surroundings. The catch? Well, our dude here can’t transform for a good solid 3 hours. But hey, if the enemy can wait for you to henshin, then can definitely wait for 3 hrs to attack, rite? Trivia: Shiro Kazami actually requested Ichigo and Niigo to change him into a grasshopper looking dude. So in a way, he’s actually willing to become a cyborg. Lucky for him, after he’s completed, they didn’t give him an Austrian accent like what the people in 2029AD did to The Governator… I mean Terminator. You wonder why? Well, simply because our dude here doesn’t have a henshin belt. Heck, he didn’t even have a mouth cover. His belt is just some nifty looking belt that some Japanese dude managed to mash up to create an illusionary belt he even probably got it in Shibuya or some sort. So he doesn’t have a belt, stores his costumes in his motorcycle, and everytime there’s evil in the corner, all he needs to do is put on his helmet and then break the world record for Fastest Clothes Change In front Of a Monster. So Mr. Yuki Joji, you might want to register yourself for the Guiness. Trivia: Yuki Joji was working for Destron previously; he lost his arm due to some evil dude frame him of treason. During his execution, he managed to be saved but lost one arm in the process due to acid. His left hand? Saved in the process of rescuing because he needs to cover his mouth and nose to protect his uber handsome face… Guy doesn’t have a mouth cover, give him a break, mmm kay? Trivia: X didn’t really shout Henshin, his shouting statement is actually Set Up, then followed by Dai Henshin. And that thing he’s holding? Nope, that’s not an Olympus pocket digital camera to store his cute photo on Facebook, that stuff is called Redizer and Perfecter. (And not henshinizer like what I used to think) The other one is for his mask, and the other is for his mouth piece/mouth freshener. Trivia: Unlike other rider, Amazon is the first rider not based on any insect. His design is based on a chameleon. His color is green and red basically to give signal that he obey traffic rules and also to hide blood, his or the enemy’s. He’s probably the only rider that runaway when he first saw his bike as well… I don’t even remember the wuss Ryoutaro of Den-O run away from a bike but hey, give the kid a break, Daisuke Yamamoto is raised in the jungle, okay? You either be a kamen rider or blonde underwear model swinging from tree to tree covered only with loin cloth, meh. Shigeru Jou is a smart man, he wants revenge, but he knows that he probably won’t survive even against those puny henchmen that always make noises like “Jii, jii, jii”. So, he does research and gamble that those evil scientists will do a frogged up job again and transform his body to kamen rider without altering his mind to become evil. Voila!! The dude is correct. He’s given a cyborg body; a henshin belt called Electora which draws power based on… fire, kidding, on electric, and later on, he will have a female sidekick called Tackle which focus on the T… try to do an image research on Denpa Ningen Tackle, you’ll know what I mean. ;) The only downside is, he’s stuck with a giant S in the middle of his shirt and even his transformed state. I think now Ichigo will be very thankful that he didn’t have a giant 1 on his shirt. Trivia: He will be referred later on in the future by Kamen Rider Kabuto which uses the same insect as his “main animal” form, the kabuto bettle/rhino bettle. Oh, one more thing, the guy that portrays Shigeru Jou is Shigeru Araki. No, that has nothing to do with that giant S in the shirt. Wait… no, positive. getting stronger but still doesn’t side with Neo Shocker. Have you ever wanted to be an astronaut? Go to the moon? Establish a base of evil operation then terrorize the humans on earth, mwahahaahahahaha… Huh? Me? Oh no, I always wanted to be a musician, but that’s just me. Now, Kazuya Oki also wanted to be one of ‘em astronauts. So he went to a lab which I assume to be kinda secret (only known by the government and the evil organization so that they can attack it later on) to be transformed into the first super astronaut called simply Super-1. Now he should’ve been very suspicious on a lot of things, first of all, they already have Steve Austin as the Six Million Dollar Man, the budget on some Japanese wanted to go to the moon will most likely be lower. And secondly, no one speak English in an American top secret lab for NASA??? But anyway, after operating and all the chaos, Super-1 survived the attack and decided to return to Japan. With him he got his henshin belt called Psycrod, with that belt he can summon his 5 arms. Trivia: His default arms are the Silver Hands/Super Hands (ability: Super Punch). The others, blue Electric Hands (to shoot an electric beam, kinda useful nowadays probably...), red Power Hands (to lift heavy objects if the pay is right), gold Radar Hands (to shoot missiles that can detect stuffs, like where is the nearest McDonalds), and green Katy Perry/Hot Cold Hands (right cold, left hot, mix ‘em up, you’ll get a melted ice cream and a frozen BBQ bacon). Oh yeah, since he’s created in the US and A, his bike is a Harley, and he sings country songs… I made up the last part. The song, not the bike, okay? Power base: unknown alien technology… wait, is that considered electric? Or recycled cabbage? Kamen Raida Zee Cross. Not ZX. Ryo Murasame is the only person in the world that can testify in the UFO convention that he was kidnapped by an alien and survived. And also the alien did not mate with him, they just simply play around and transform him into a turtle bug based being called Kamen Rider ZX. Oh and did I say that he was brainwashed? Now there’s actually nothing special about his belt, because it’s just a simple buckle. So, my final rider’s belt for this part is actually not fun at all. Lemme just get straight to trivia then. So, that’s my first part of the showa era riders. My hands are a bit tired, so I’ll just pass the control back to Leon. But before that, let’s see a striking handsome pose by the ten riders. All of ’em ready for combat except for Skyrider which is apparently busy looking at the camera. He’s just probably taking too much advice from Niigo about posing. Thank you for reading, bro. Classic riders are indeed powerful, but heisei riders also have their own talent ;) Like Tendou and his cooking talent. Yes, I'm talking about real deal talent here. None. Coz this is my post. Mwahahahaa... Well, if you insist, here's some fact. The only rider from the heisei era that I didn't watch or somehow skip is Kamen Rider Agito. So, if any of you guys got it, buzz me, mmm 'kay? What? That's not a trivia? Okay okay, here's a Dai-Spoiler for you... Riderman didn't die, he just got washed to a shore somewhere and then Taki will find him later. That's some reading for me! Thanx for sharing the knowledge. Those blue trivia really makes reading more light-hearted.